“We’ve managed every step of the production process for the Partida Tequila Elegante with painstaking care,” said J. Gary Shansby, chairman and CEO of Partida Tequila. “We selected the very best blue agave - hand harvested when perfectly ripened with concentrated sugars - cooked the piñas in stainless steel autoclaves for an exceptionally clean, pure agave taste and distilled and aged the Elegante to perfection. We’re proud to offer this exceptional extra añejo to America’s tequila lovers.” The Partida Tequila Elegante will be available on an allocated basis this fall in all states where Partida Tequila is distributed. The suggested retail price will be $350. In addition to the exceptional tequila in the bottle, the packaging (a hallmark of Mr. Shansby’s career) for the Elegante is refined and distinctive. The Partida Elegante comes in an individual gift box with numbering on each bottle. The gift box includes a crystal top for the Elegante bottle, which can serve as a decanter once the tequila is finished. Each Elegante bottle has a Mexican sterling silver Partida Tequila Spirit Bird on a black leather strap tied around the neck. The Spirit Bird necklace itself makes a unique and beautiful gift. The real treasure, however, still resides in the bottle. The Mexican Academy of Tequila Mezcal-Wine Tasters (Academia Mexicana de Catadores del Tequila Vino-Mezcal, A.C.), an organization recognized by the Tequila Regulatory Council (CRT), tasted the Partida extra añejo and awarded it a perfect 20 out of 20 score. The Partida Elegante debut follows on the heels of Partida Tequila’s very successful introduction this spring of the Partida Margarita with Partida 100% organic agave nectar, a new expression of America’s most popular cocktail. Partida Tequila also makes its much anticipated launch this week in the United Kingdom at the London Bar Show. Partida Tequila is an authentic, all-natural, estate-grown premium Tequila, made from 100% blue agave in Amatitán, the heart of Mexico’s historic Tequila region. From cultivation and harvest to cooking, distillation and aging, Partida maintains exceptional standards of quality and consistency, making Partida “the finest tequila that money can buy,” according to F. Paul Pacult, the leading spirits authority in America. 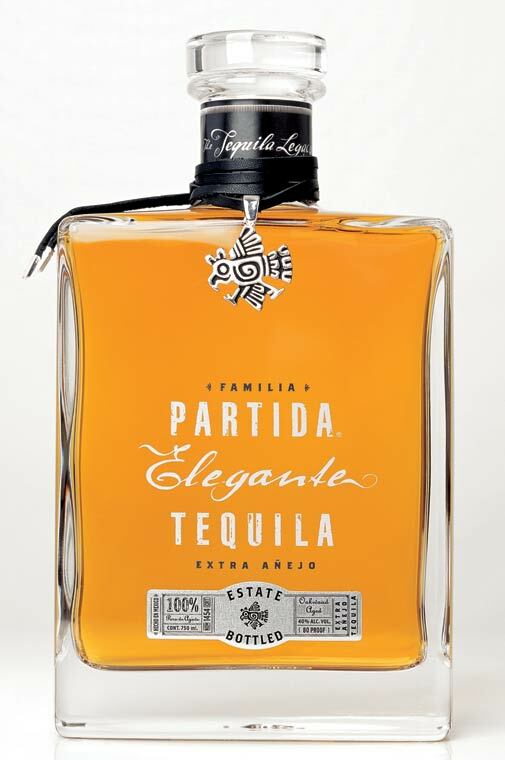 The Partida Estate produces four distinctive Tequilas: Blanco (not aged), Reposado (aged six months), Añejo (aged 18 months) and Elegante Extra Añejo (aged over 36 months). Partida Tequila is now distributed in Mexico, as well as Arizona, California, Colorado, Connecticut, Florida, Illinois, Indiana, Maryland, Nevada, New Jersey, New York, Texas, Washington, DC and Washington. Partida will continue to expand aggressively and strategically in the United States and has also begun distribution in the United Kingdom.